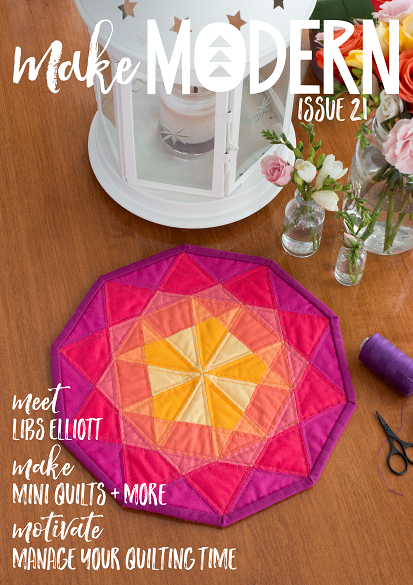 Create your own quilt in your choice of colours, or follow the pictured pretty example using "Canyon" by Kate Spain for a sweet quilt. The finished quilt is a Cot/Crib size at 38x46.5" making it ideal for a nursery or childs room. A Single/twin bed sized quilt pattern (measuring 66x81") available in our Etsy shop. The quilt is made from 33 blocks, featuring Ice Creams Cones and Sticks, and uses 1 charm pack (forty two 5" squares) for the feature prints. Extra fabric is required for the background, sashing, borders and binding.